Built Tough for Portable Applications. 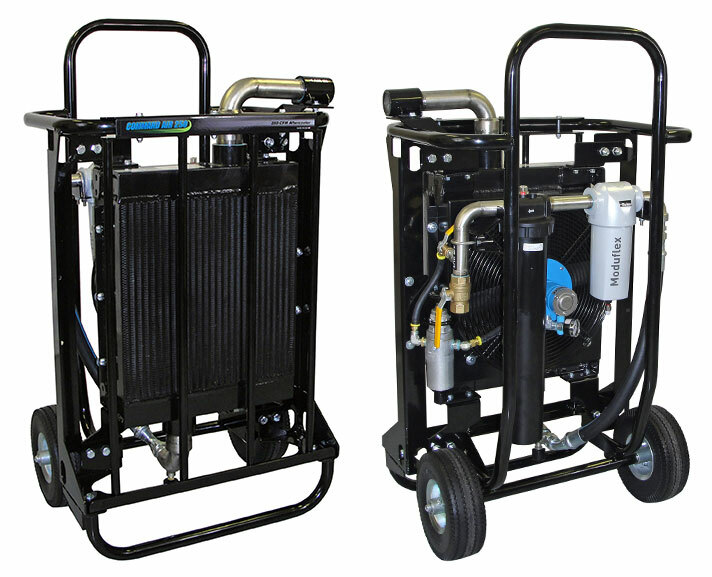 The Command Air 350 Portable After cooler Dryer is now available from Continental Carbonic. Built tough for portable applications, the Command Air CA-350 is ideal for any blast cleaning method requiring a mobile diesel compressor, including dry ice blasting, soda blasting and sand blasting. The Command Air CA-350 features self-purging automatic drains, a steel frame to withstand your toughest jobs, and airless tires for easy mobility. This after cooler dryer allows you to cool and dry to 0.7 microns the hot, moist, oily air produced by diesel air compressors. The cooled, dry air allows your blasting equipment to work at the highest efficiency possible while minimizing downtime and freeze-ups.